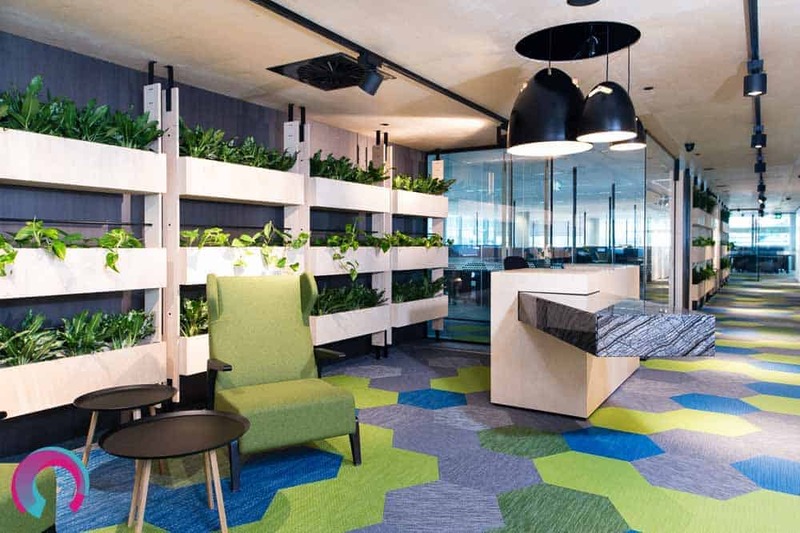 University of QLD research shows offices with plant life increase employee productivity by 15%. My own independent research reveals office plant life increases photographer satisfaction by around 7,000%. My anecdotal research was conducted when I turned up to photograph the Brisbane office fit-out of Ezidebit. Their new Fortitude Valley headquarters incorporates bold colours, geometric shapes and uses greenery as office dividers. Built by the Shape Group, it had me wishing I worked in an office again. Only for a moment though. Otherwise I’d miss out on all the other cracking fitouts in my job as a commercial interior photographer in Brisbane. The very first office I worked in was a compactus. Literally, I lived in a compactus for 6 months in my first job as a filing clerk for a chartered accountant. I was so bored I began collecting the hole punch confetti and leaving it in random files. Months later I would giggle at the thought of some other clerk pulling a file off the top shelf and showering themselves with confetti. Ahhhh… haven’t offices come along way since the late 90’s. We were once all shut away like infected lab rats. These days offices are co-habitation spaces. And fear not, introverts, for there are spaces for everyone. With quiet rooms, drop in spaces and little nooks & crannies where plenty of solid work can get done. But the trend now is to create flexible spaces that can be used for meeting, gathering, break out and presentation spaces. Like the one above. It used to be that bank after bank of fluoro’s were the only light source for miles in office spaces, but thank goodness the research points to natural light leading to better productivity. Because once again, better productivity for staff = better results for the photographer. Natural light bends and shapes surfaces in much more flattering ways than flash ever can. Living in Brisbane, we’re particularly spoilt with the sun spilling over us for more than 70% of our days each year. You’d be crazy not to take advantage of those numbers, particularly in a high rise buildings that are largely, big glass boxes. Even the meeting rooms take advantage of the natural light spilling in from the windows. 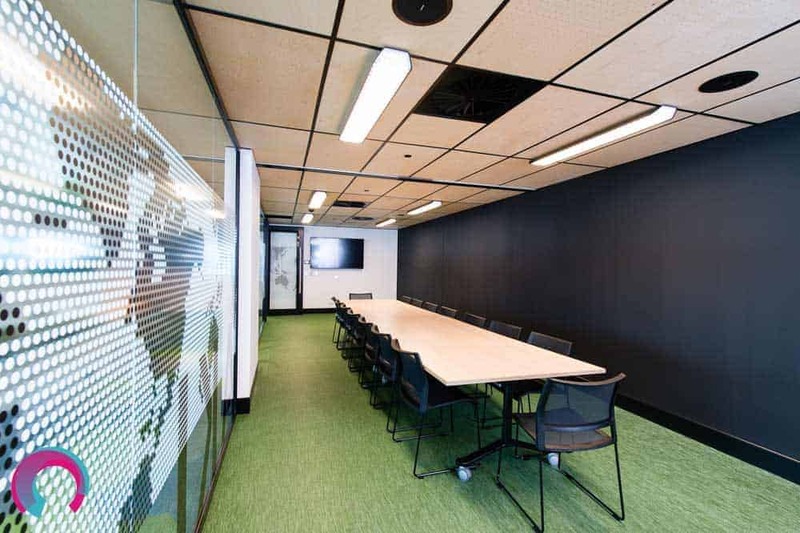 These meeting rooms are around 10 – 15 metres away from the windows, but without bulky partitions the light and air can flow throughout the work space unimpeded.